(Natural News) A fresh batch of now-unveiled emails recently obtained by Senator Ron Johnson (R-Wisc.) 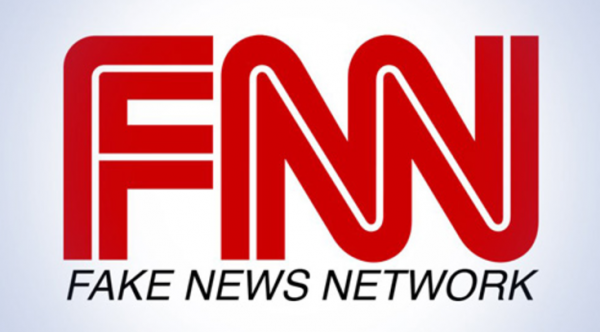 contains some shocking revelations about the collusion that’s been taking place between the Federal Bureau of Investigation (FBI) and fake news network CNN in their joint effort to take down President Trump. We now know that the FBI put together a “sensitive matter team” prior to the president’s inauguration that actively discussed the details of the infamous Steele dossier with CNN before the fake news network decided to break the story on former FBI Director James Comey’s briefing of it with President Trump. These emails show that former FBI Deputy Director Andrew McCabe was fully aware of the fact that CNN was being briefed by the FBI on the details of the dossier briefing, as well as the fact that FBI officials on the “sensitive matter team” were discussing these correspondences using coded language in their back-and-forth emails. The now-debunked dossier, which was jointly funded by both the Hillary Clinton presidential campaign and the Democratic National Committee (DNC), contains a slew of unfounded allegations against President Trump, including that he colluded with the Russians to “steal” the presidential election. But the truth of the matter, as revealed in these latest emails, is that the FBI colluded with CNN to spread lies about a lawfully-elected president in an effort to unseat him. • Later that day, then-FBI Director James Comey met with President-elect Trump to discuss the dossier. • On January 8, just after noon, then-FBI Deputy Director McCabe sent an email to senior FBI leadership with the subject line, “Flood is coming.” In the body of his email, McCabe admitted that “CNN is close to going forward with the sensitive story” – again using coded language. He added that CNN receiving a copy of what was discussed during Comey’s meeting with President Trump was the “trigger” for publishing the story. And just two days later, CNN did exactly that, igniting a fake news firestorm of hysteria about baseless accusations of Trump-Russia collusion that never actually happened. And working her magic behind the scenes was none other than Laura Jarrett, the daughter of top Obama advisor Valerie Jarrett, who was hired by CNN back in the fall of 2016 to cover events at the Justice Department. The network announced in a press release that Valerie Jarrett’s daughter Laura would be one of four reporters to cover the Justice Department in 2017. The New York Post broke the news that Jarrett had been hired in September, though a formal announcement about her beat did not come until Thursday. For a full timeline of all the collusion and treason that took place between the FBI, Obama, Comey, Clinton and many others, check out this link.